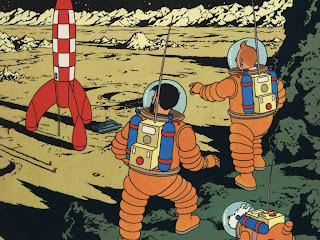 As a big Tintin fan in my youth, I was overjoyed to see this familiar rocket adorning the front page of spotify. 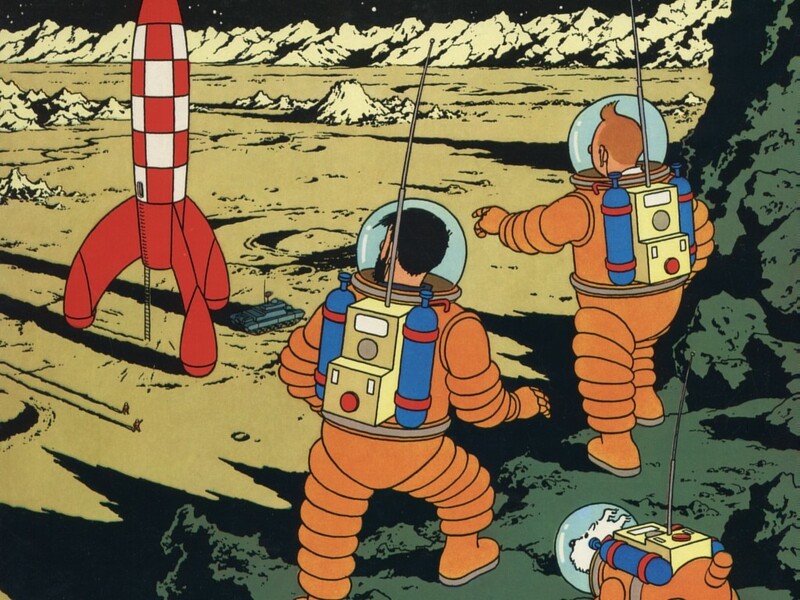 Tintin fans should recognise it but those unfamiliar with the graphic novels should swoon over its mid century, space age curves. 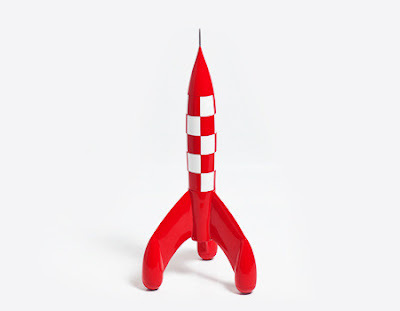 I'm sure it would look wonderful in my home! 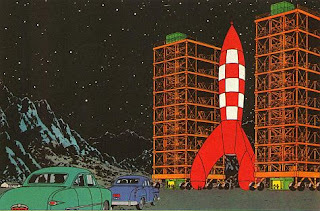 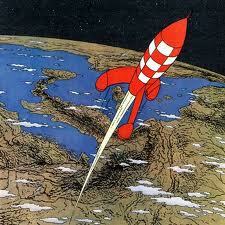 The rocket features in two of the novels from the 1950s - Destination Moon and Explorers on the Moon.